Do you love learning therapeutic techniques to improve your skills as a counselor or psychologist? So do we! That’s why we listed 6 interesting psychology books and some of the learnings. Many metaphors have been used to describe depression, from a black dog, to a shadow or a companion of some sort. In “How to lift depression… Fast (The Human Givens Approach)” the authors Joe Griffin, PhD, and Ivan Tyrell explain depression as a veil: it affects your perception of the world around you and of yourself, darkens it in ways that are unrealistic and unproductive. At the same time, it is not permanent, and just like any veil it can be lifted. One of the most helpful things that can be done for a depressed patient is to show them, through the technique of relaxation, that a different emotional state is possible. Breathing is one of the most effective and widely used relaxation techniques. Begin by sitting or lying down comfortably in a chair or cushion. Next, rest your hands to the sides of your body or place them on your lap. Now take a deep in-breath. Follow with a longer out-breath. This shifts the body’s parasympathetic system into relaxation mode. It is usually helpful to count to keep your mind grounded. Count to 7 for in-breaths and 11 for out-breaths, or 3 and 5 for a shorter version. Do a DIY task around the house. These activities made him more proactive, restoring a good sleep pattern and overall satisfaction. Goals should be both realistic and specific. It’s also advisable for goals to be small, then gradually build up as they are completed. There are many steps and strategies to help in lifting depression: fend off the negative thoughts with more productive activities, exercise regularly, and even adhering to a healthy sleep schedule are some of these strategies. Not one single strategy will guarantee that depression will be removed instantly, but combine them in ways that work for your client, make use of exploring resources, and that will speed up the recovery. In the past years there’s been a rise in so-called attention-deficit disorders, both in terms of diagnoses and clinical categories. These disorders are often attributed to biology or genetics; and yet genes nor organisms change so fast as to justify this condition’s expansion. Edward M. Hallowell, MD., explains in his book “Driven to Distraction At Work: How to Focus and Be More Productive” that there is such a thing as Attention Deficit Trait, a form of attention deficit that does not constitute a disorder per se, but is similar to other forms of attention deficit such as ADHD. Attention Deficit Trait, however, is circumstantial; not permanent. It is linked to the demands of modern life: overuse of technology, lack of physical exercise, extended work hours, etc. Because modern life actually prompts these behaviors, they solidify into habits and start taking a toll on your life, affecting you socially, emotionally, and, ironically; in your productivity. Order your priorities. In spite of what you are immersed with day to day, remember why you are doing it, and what of it is important. Create a record of how much time you spend on electronic devices. Afterwards, honestly look at where you could cut back. Reclaim some of the time you had surrendered. Take care of yourself. Learn the value of saying no and keeping your own center. Create scheduled times for use of technology. 30 minutes early in the day, or in the afternoon, to do what you need to do. Other times, turn them off. Turn off the devices at social encounters. Allow yourself free time at work, this will boost up your focus. Remember most times it’s not about working harder but smarter. Take things in their own time. Make reflective use of face to face, human encounters. They are more powerful than cyber ones. Observe your progress. This’ll motivate you to continue and provide you an incentive to do better work. When we’re suffering from anxiety it’s difficult to be fully present: a stream of thoughts invades our mind with no observable purpose, making it hard to enjoy leisure time or the company of a friend. We usually forget, but that anxiety actually started with a purpose: it was intended to alert of an incoming danger, and prepare us for it. Anxiety is meant to work with us, rather than against. In their book “How to Master Anxiety”, authors Joe Griffin, PhD, and Ivan Tyrell explain that chronic stress and anxiety arise when our emotional needs aren’t being met and our capacities not being put to proper use. This causes problems. In order to manage anxiety we need techniques to relax, such as dedicating 5 minutes to conscious, calming breathing; getting good sleep, and enjoying leisure time. If we seek professional help, even better. By lowering the initial symptoms and creating a routine that makes use of our resources, while satisfying our needs, anxiety becomes manageable and a tool to be used for you rather than against. Write down the negative thoughts and create a list of them. Afterwards, examine each of them realistically, and you’ll see how often the negative thought doesn’t stand up to scrutiny. Do what you can. If there is something you can do about one or more of the negative thoughts, then do it. If there isn’t, resolve to let go. Set 30 minutes a day specifically for worrying. If a worry comes up any other time, push it aside until the worry time, where they will have your full attention. Use humor to fight worry. Oftentimes by exaggerating the worries that we have, with ourselves or in conversation with someone, we come to realize just how absurd they initially were. This will both dissipate worries and put you in a relaxed state. You can find relevant worksheets to capture & reframe negative thoughts here. In order for people to like you, make them feel good about themselves. Cues such as smiling, having a good posture, etc., will incline a person to open themselves up to you. From there on, however, you should apply the golden rule. These let the other person know someone cares about their well-being and is providing them attention which, of course, makes them like you. If you see someone happy say: “so, things are looking your way today” rather than “I see you’re happy,” because the former focuses attention on them rather than yourself. Compliments play an important role in letting a person know you are interested in them and how they perform. They must be sincere, else will be perceived as manipulative. The main lesson this book gives is that everybody wants some form of attention. If you use the right cues, you can tap into this human necessity and use it to your advantage. 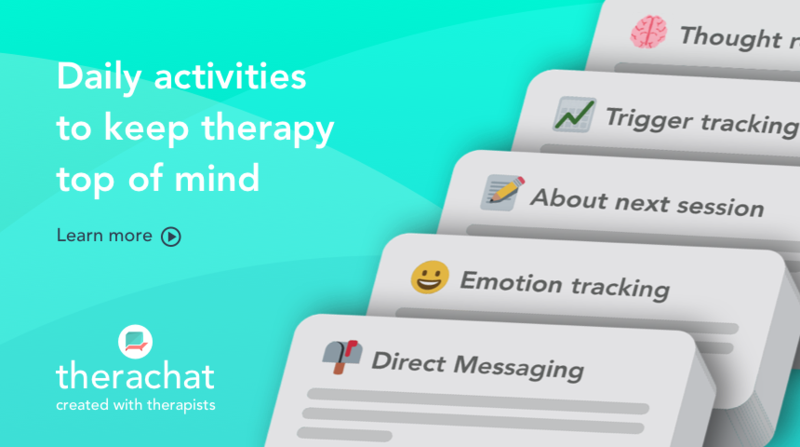 These techniques are useful for mental health professionals as they will help build rapport at a faster rate and teach clients superior interpersonal communication. You might be in a relationship with someone you love, and they love you back. You’re both healthy individuals, but your relationship keeps going downhill in dangerous levels and you don’t know why. She says you don’t help her with the house chores, and you say she doesn’t ask you about your day at work. You both feel as if the love is going away. But even though you weren’t helping with the chores, you kissed her goodbye before leaving and brought her flowers when you arrived; and while she didn’t ask about work she did take care of the kids and she always kept the house clean for you. You’re both taking care of each other, just not in the ways that you need. What “The 5 love languages: the secret to love that lasts” by Gary Chapman teaches us is that we speak different love languages and if we want our love expressions to be meaningful we should “talk” in the language the other person speaks. Many people suffer from cases of chronic shyness, they want to do things but can’t seem to gather the courage to do them, they’re afraid of what others might think, and they’re not used to being authentic with those around them. If this shyness keeps rising it starts to become social anxiety and thus a deeper issue. “Overcoming Shyness: Break Out of Your Shell and Express Your True Self” by Erik Myers reminds us that sociability isn’t some mystical talent, but a resource that we all have and can improve upon. Smiling often and displaying positive body language are good social tools. Also habits like playing a sport, enjoying different activities, and daring to step out of your comfort zone will build up confidence, which reflects in enhanced social skills. The most important rule is that practice makes perfect, so keep practicing. Choose a sport. The main idea here is to keep yourself busy, active. When we are busy, we do not have time to think. So, you won’t judge or criticize yourself. Playing a sport also gives you the opportunity to interact with people. Change scenarios. Take up a new class, smile to strangers, try a new restaurant, take a different route to school or work, start up a conversation with someone you normally don’t interact with, join a group, etc. These things will make you feel uneasy at first, but the benefits are immeasurable. How to start conversation. Do not think too much about what to say. A simple “Hello. How are you?” will suffice. It shows interest and politeness. When the other person talks, nod to show interest and listen attentively. People like a good listener. Don’t think, act! You wake up in the morning. You struggle to get up from bed and take a shower because your brain is telling you it’ll be cold out of bed. What do you do? You jump right in, and all your thoughts are washed away. The same thing you have to do to accomplish your goals. We hope these psychology books and learnings bring you wisdom in less time and allow you to support your clients. This post is brought to you by Psych Nest, an easy and fast way for counselors and psychologists to discover valuable therapeutic techniques through the use of book summaries. Psych Nest introduces familiar and new authors inspiring professionals to learn and read more. If you consider yourself a lifelong learner and want more wisdom in less time, then you can learn more here. Are there any psychology books you’d like us to review?